The game of bowls is an activity that can be enjoyed by the young and not so young, and by the novice and the more experienced bowler alike. Our bounce games hat nights (Ladies points days) and mixed play games are open to all, so when you turn up you are assured of a game with fellow members, and no-one is ever left out. Likewise all members are encouraged to enter our many internal competitions. For young bowlers it provides a sporting opportunity that helps develop teamwork competitiveness and sportsmanship that will serve them well throughout their life. 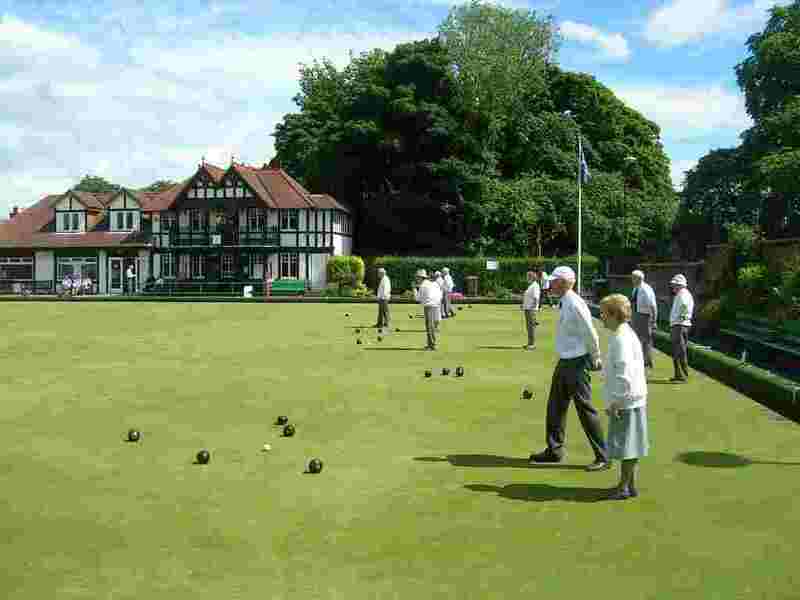 The mature bowler will find the game provides gentle exercise, and within the Braid Bowling Club, an opportunity to meet and play with others in a friendly and highly attractive environment. Coaching is freely available to all from our own qualified coaches, so learning the game of bowls has never been easier - so why not give it a try. Founded in 1890 and playing on one of the best bowling surfaces in Edinburgh, Braid Bowling Club is keen to attract new members. The season runs from the 3rd week in April to the end of September. In addition to the friendly "bounce" games and the Monday and Friday "Hat Nights", there is a busy programme of internal competitions and external League matches and "friendlies" against other clubs. There is also a programme of activities run during the winter for club members and their friends. New members can be assured of a warm welcome. Coaching is available for beginners; bowls and bowling shoes can be provided. Rather than the usual annual membership of £145, full membership for your first year is just £50. In addition a special weekend membership running from Friday to Sunday is available for £25. For those under 25 or on benefits, the membership is just £25. Under 18s can join for £10. There are free "taster sessions" most Sunday afternoons starting at 2.00pm from the first Sunday in May to the first Sunday in September. No previous experience is required. Bowls and shoes are available. These sessions will be free of charge apart for a £2 per head for refreshments and will run throughout the season excepting the very few occasions when the Green is required for outside matches Please check our Events Calendar for exceptions. For more information, please e-mail our Club Secretary at info@braidbc.co.uk or phone 0131 447 0612 and leave a message on our answering machine. To join, please download our Application Form and send it to The Club Secretary, at the address on the form. You can also consult the club's Privacy Statement which outlines what personal data we hold and how it will be handled. Members wishing to book a rink for a competition tie or for a game with visitors should enter the details on the relevant Intimation Sheets; the binder is to be found in the entrance lobby. The Green Ranger will allocate a rink on the daily sheet displayed on the notice board. Prior booking of Bounce Game on any day is not permitted. Annual subscription rates for 2019 are £145 for Ladies and Men.